‘He examined all eight boxes but found no interviews by any investigator that detail either a meeting between Hillary Clinton and Vince Foster or the effects of a meeting between Hillary Clinton and Vince Foster on Vince Foster’s state of mind,’ Martha Murphy, the archives’ public liaison reported in an email. 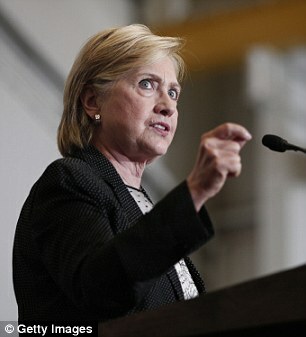 According to the Daily Mail , FBI agents’ reports of interviews documenting that Hillary Clinton’s stinging humiliation of her friend and mentor Vince Foster in front of White House aides triggered his suicide a week later are missing from where they should be filed at the National Archives, Daily Mail Online has learned exclusively. On two separate occasions, this author visited the National Archives and Records Service in College Park, Md., to review the reports generated by FBI agents assigned to investigate the 1993 death of Bill Clinton’s deputy White House counsel. 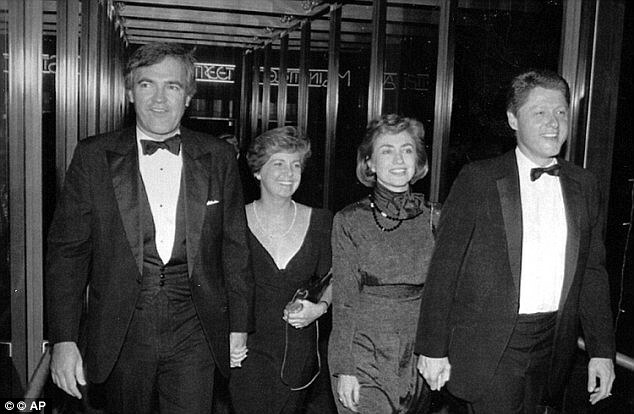 The FBI found that a week before Vince Foster’s suicide, Hillary held a meeting at the White House with Foster and other top aides during which she berated the lawyer. On the first visit, archivist David Paynter provided the box of records that he said contained the FBI reports of interviews conducted by FBI agents on Foster’s death. While the box contained dozens of FBI reports concerning Foster’s death – including interviews with the medical examiner, U.S. Park Police officers, and White House aides about the contents of Foster’s office – the reports on Hillary Clinton’s role in his death were absent. After filing a Freedom of Information request with the National Archives, Martha Murphy, the archives’ public liaison, reported that she directed a senior archivist to conduct a more thorough review of the relevant FBI files, including those that had not been previously made public in response to FOIA requests. ‘He examined all eight boxes but found no interviews by any investigator that detail either a meeting between Hillary Clinton and Vince Foster or the effects of a meeting between Hillary Clinton and Vince Foster on Vince Foster’s state of mind,’ Murphy reported in an email. While confirming that the records could not be located, Valceanu held out the possibility that the FBI interviews were not filed where they should have been and were somewhere else in the more than 3,000 boxes of records amounting to 7.5 million pages generated by the Starr investigation. This is not the first time documents related to the Clintons have apparently vanished from the National Archive. In March 2009, the archives found that an external hard drive from the Bill Clinton White House containing confidential documents was missing. When it could not be located, the inspector general’s office announced that it had opened a criminal investigation. Offering a reward of up to $50,000 for information leading to recovery of the hard drive, the archives asked that tips be reported to the Secret Service. At the time, the archives said it had a backup drive. The FBI investigation into Foster’s death was conducted for independent counsel Kenneth W. Starr’s probe of the Clintons’ investments in the Whitewater real estate development. For unknown reasons, Starr elected to conceal the FBI’s findings in his final report. But in interviews for my book The First Family Detail: Secret Service Agents Reveal the Hidden Lives of the Presidents, the FBI agents revealed the truth about Foster’s death on July 20, 1993 when he shot himself at Fort Marcy Park along the Potomac River. 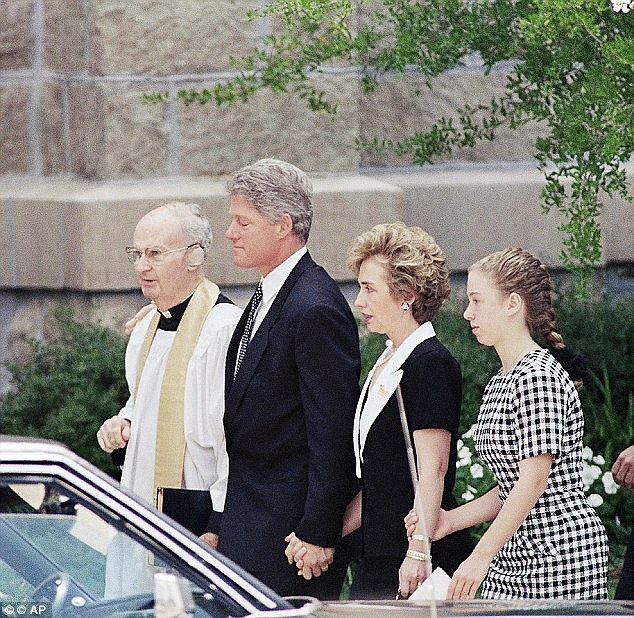 In interviewing Clinton White House aides and Foster’s friends and family, the FBI found that a week before Foster’s death, Hillary held a meeting at the White House with Foster and other top aides to discuss her proposed health care legislation. Hillary angrily disagreed with a legal objection Foster raised at the meeting and ridiculed him in front of his peers, former FBI agent Coy Copeland and former FBI supervisory agent Jim Clemente told me. Copeland was Starr’s senior investigator and read the reports of other agents working for Starr. During the White House meeting, Hillary continued to humiliate Foster mercilessly, according to both former FBI agents, who spoke about the investigation for the first time. ‘Foster was profoundly depressed, but Hillary lambasting him was the final straw because she publicly embarrassed him in front of others,’ says Clemente. After the White House meeting, Foster’s behavior changed dramatically, the FBI agents found. Those who knew him said his voice sounded strained, he became withdrawn and preoccupied, and his sense of humor vanished. At times, Foster teared up. He talked of feeling trapped. No one can explain a suicide in rational terms. But the FBI investigation concluded that it was Hillary’s vilification of Foster in front of other White House aides, coming on top of his depression, that triggered his suicide about a week later, Copeland and Clemente both say. Why Starr chose not to reveal the critical meeting and his own investigators’ findings remains a mystery. Asked why he excluded what led to Foster’s suicide from his report, Starr did not respond. A spokesman for Hillary Clinton had no comment. Starr’s report recounted how the FBI ran down even the most bizarre theories about Foster’s death and conducted extensive ballistics tests that refuted assertions that Foster had not committed suicide.